This font is heavy to load and may freeze or crash the Windows font viewer. You’ll find 2 different files in this archive. 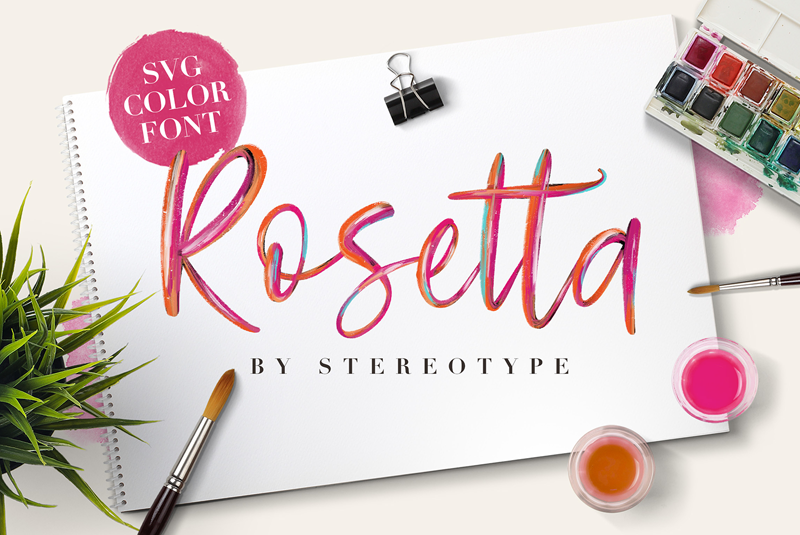 • Rosetta Black is a classic ttf font. It works like any other font. • Rosetta Color is a sample of the color version. It require Photoshop 2017 and/or Illustrator 2018 to work. It works the same way as any other font but it is made with colors! The commercial version contains a wide set of alternate glyphes and contextual ligatures to create your own style!